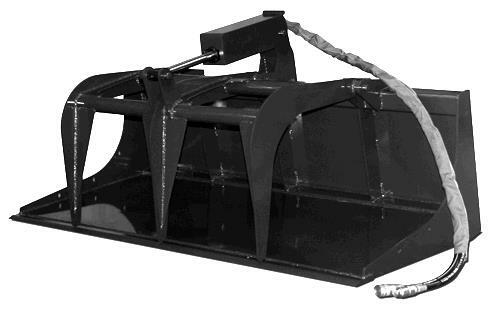 This Grapple Buckets has a 2 bore and 10 stroke cylinders, with all hydraulic lines routed inside the tubing to prevent tears. It is also built with top quality steel, oversized points and bushings, with grease fittings at every pivot point. Every unit exceeds the lifting capacity of the skid steer machine it is attached to. and rated at 4000 PSI. 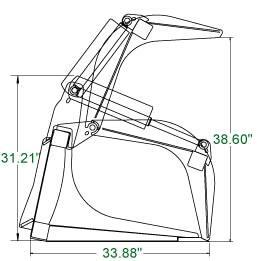 * Please call us for any questions on our grapple bucket 60 inch wide rentals serving New Jersey, NYC and the Tri-State area.